Compared to southern states such as Georgia and the Carolinas, Mississippi’s textile mill history was slow and somewhat erratic. Only a few were built in the antebellum period, and only one of those, the Bankston Mill, had substantial and lasting success. 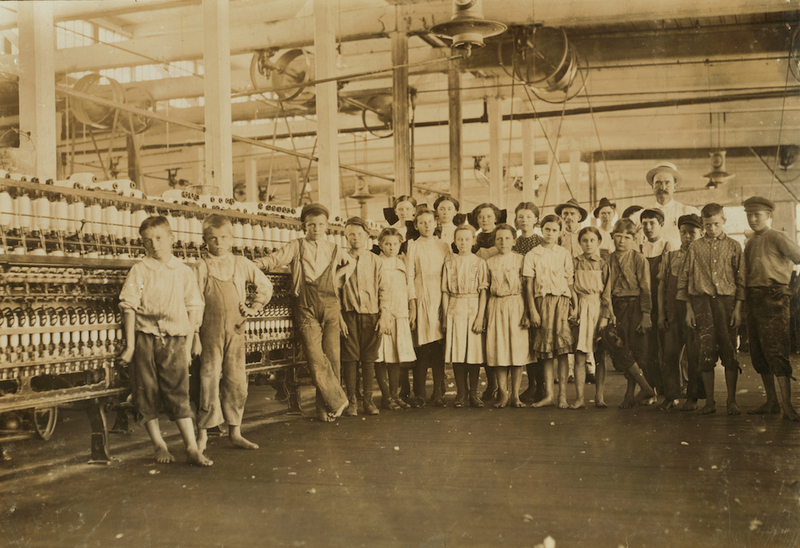 The major period of textile mill building in the state took place from the 1880s through the early 1900s, when inexpensive, nonunion labor of white men and women, especially in eastern and central Mississippi, made the state an attractive place to start new factories that made clothing and other cloth products. Antebellum efforts to build textile mills in Mississippi were with one exception small, as most people with money to invest concentrated on land and slaves. Two efforts in Adams County accomplished relatively little, but in 1847 James M. Wesson and some associates organized the Mississippi Manufacturing Company, which opened the Bankston Mill in Choctaw County the next year. Wesson had been part of a group that ran a textile mill in Columbus, Georgia. The Bankston Mill had considerable success producing cotton and wool textiles, employing white workers in what became the state’s first mill village. According to historian James Hebron Moore, “The little village of Bankston was in every regard a company town. Originally located away from towns and travel routes in order to provide few distractions for the employees and their families, Bankston was Wesson’s plantation. He would not permit whiskey to be sold in the vicinity, and he saw to it that the inhabitants of Bankston received religious instruction proper to factory hands.” About one hundred employees worked in the mill at its height in the 1850s. Other textile mills in antebellum Mississippi included the Mississippi Penitentiary, which started a mill first to make clothes for the inmates and later to sell, and mills in Woodville and Jackson. All of the state’s larger mills were damaged or destroyed during the Civil War. New textile mills began operation in the late 1860s and 1870s in Corinth, Natchez, Water Valley, and Bay St. Louis and the 1880s in Shuqualak, Natchez, Columbus, and Port Gibson. The largest and most successful new mills were Mississippi Mills in Copiah County and the Stonewall Manufacturing Company in Clarke County. As the war ended, James Wesson, trying to re-create the success of the Bankston Mill, started a large mill in the new company town of Wesson. One of the two successful textile mills in the late 1800s, the renamed Mississippi Mills became an unusual sight in otherwise rural Copiah County. As historian Narvell Strickland writes, the mills “consisted of four large brick buildings when completed, one of which was five stories high with a seven-story tower, and covered several city blocks. From the beginning they were powered by steam engines and very early illuminated by electricity.” Mississippi Mills closed in 1910. In 1867 three businessmen started the Stonewall Manufacturing Company, named in honor of Stonewall Jackson. The mill became the longest-running establishment of its kind in Mississippi, employing more than five hundred workers in the early 1900s. In 1948 Erwin Mills purchased the Stonewall mill, and in 1962 Burlington Mills bought and expanded it. Stonewall continued to produce clothing until 2002. Like its counterparts across the South, Mississippi’s state government made some efforts to attract textile mills in the late 1800s. Mississippi’s “cotton mill crusade” began with an industrial development program that started in 1882 and continued with a small textile school at Mississippi A&M (now Mississippi State University) in 1901. Fourteen mills opened between 1896 and 1906, with new operations in Meridian, West Point, McComb, Kosciusko, Laurel, Moorhead, Winona, Yazoo City, Tupelo, Starkville, Magnolia, Columbus, and Batesville. Many of these factories established mill villages, with housing, churches, and sports facilities. 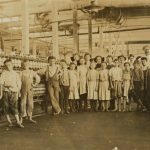 In the early twentieth century textile mills came to symbolize southern employers’ tendency to pay low wages to industrial workers. The state did not rank high on many national lists of industrial production, but it ranked second, trailing only Tennessee, in making work clothing. In the 1930s, when the Mississippi state government instituted its Balance Agriculture with Industry (BAWI) program, it hoped to attract higher-wage industry, but many of the new factories continued the policies that had attracted investors to the South. According to historian James Cobb, “For the most part the early BAWI plants were low-wage, labor-intensive industries that could capitalize on an abundance of unskilled workers. 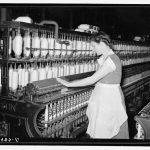 Four of the plants produced hosiery and a number of them sought an exclusively female work force.” Reformers hoped that different types of textile work might improve the nature of such work. 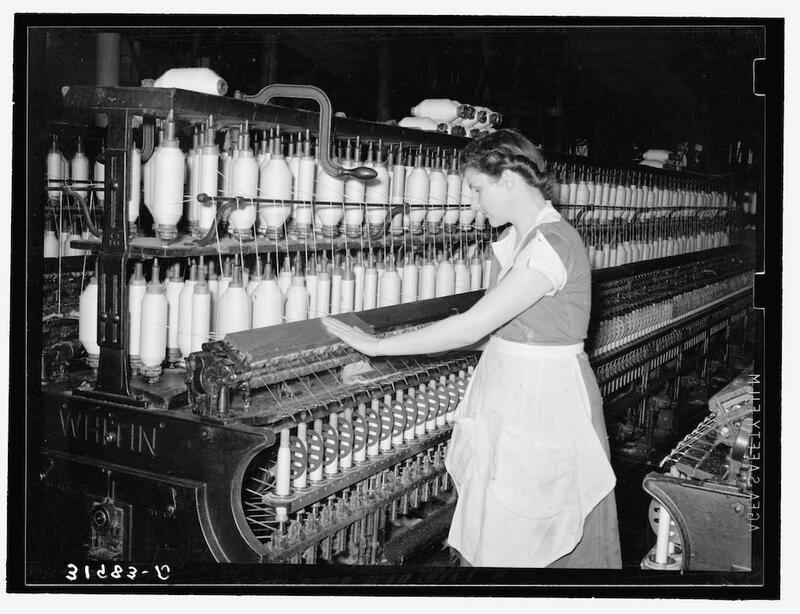 Extension worker and social scientist Dorothy Dickins wrote a long 1941 report comparing older textile mills with new garment factories that concentrated on finishing work. 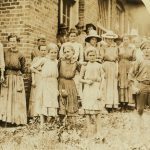 Arguing that textile mills in mill villages left people poor, unskilled, and sickly, Dickins was more hopeful that newer garment factories would encourage women to live in the country, take buses or cars to work, and enjoy the benefits of rural life and family connections. A combination of the depression and some disasters offered new challenges to textile mill work in the 1930s. Substantial mills closed in Tupelo, McComb, Columbus, and Moorhead; a 1936 tornado in Tupelo killed more than 230 people; and fires damaged several mill communities. 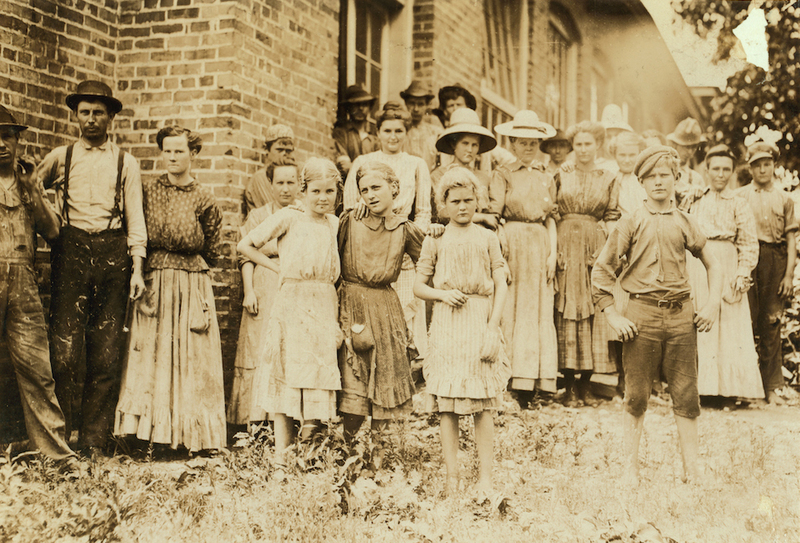 Several mills responded to economic difficulties by keeping wages low and sometimes using the “stretchout,” which required twelve-hour work days. Above all, they opposed union activity. In 1934 the United Textile Workers of America called for an industry-wide strike, and many but not all textile workers in Mississippi struck in September. Some of the employers, especially at the mills owned by Sanders Industries, fired union leaders and called on local law enforcement to oppose the strikes; in Magnolia, Kosciusko, and Stonewall, the National Guard also was called in. In number and significance, textile mills have been on the decline in Mississippi since the mid-twentieth century. The Mississippi Department of Employment Security tracks the significance of apparel and other textile products, and using a broad definition, its publications show that apparel and textile manufacturing made up 22 percent of the state’s industrial workforce in 1965, 8 percent by 2002, and just over 1 percent in 2012.